YOUNGSVILLE, N.Y. – Phish pitched in it’s support for Catskill Mountainkeeper over the Memorial Day weekend, using their concerts at the Bethel Woods Center for the Arts to help support our environmental goals. Money raised from fan donations, items autographed by the band and the sale of featured merchandise will help support our efforts to enhance the natural, economic and community health of our region. It was a great success for us and we are deeply thankful to the band for their support. 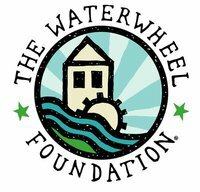 Phish created the WaterWheel Foundation in 1997 to help raise money for non-profit organizations in communities where the band performs. Clean water and land conservation are priorities for the band. Phish performed Friday, May 27; Saturday, May 28; and Sunday, May 29; at the Bethel Woods Center for the Arts in Bethel, N.Y.